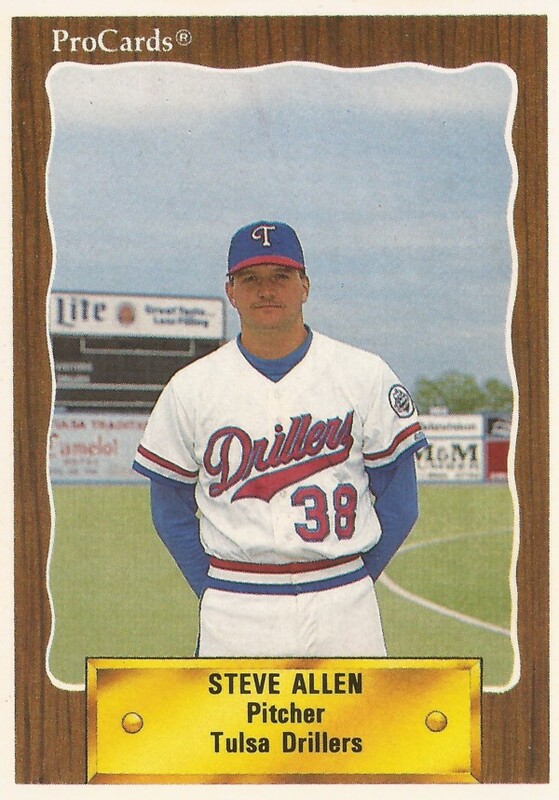 Steve Allen readied to start his pro career in June 1988 and the pitcher told his hometown Nashua Telegraph he was ready for whatever the Rangers sent his way..
"I'm just looking to be consistent, stay healthy, and come out and look great whenever I get my chance," Allen told The Telegraph. Allen made it to rookie Butte and ended up pitching poorly, but he came back the next year and went on to a pro career that lasted seven seasons. He made AAA, but he never made the majors. Allen's career began that year in 1988, taken by the Rangers in the 37th round of the draft out of the University of Massachusetts Amherst. Allen started with the Rangers at Butte. In 17 games, six starts, Allen had an expansive 9.32 ERA. He then moved to single-A Gastonia and turned full-time reliever. He picked up six wins, three saves and dropped his ERA to 2.02. He made AA Tulsa for 1990, serving as a short reliever. He went 8-4, with a 3.83 ERA. He then moved to the Dodgers system for 1991 in a trade. "We like (Allen's) arm and we like his forkball," Dodgers director of minor league operations Bill Schweppe told The Telegraph that January. Allen played that year and the next at AA San Antonio. His 1991 campaign was limited to 12 outings, but he returned to a full slate of 43 in 1992, recording a 2.62 ERA. 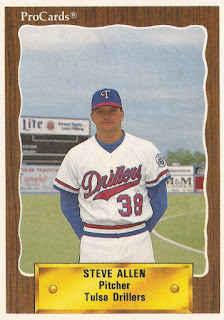 He made AAA Albuquerque in 1993, playing there briefly before moving to the Rockies and AAA Colorado Springs early on. Overall, he had a 4.10 ERA. His final season came in 1994, back at Colorado Springs. He went 2-5, with a 6.69 ERA, ending his career.